Would you be happy in heaven if Christ were not there? “The Critical question for our generation – and for every generation – is this: If you could have heaven, with no sickness, and with all the friends you ever had on earth, and all the food you ever liked, and all the leisure activities you ever enjoyed, and all the natural beauties you ever saw, all the physical pleasures you ever tasted, and no human conflict or any natural disasters, could you be satisfied with heaven, if Christ were not there? 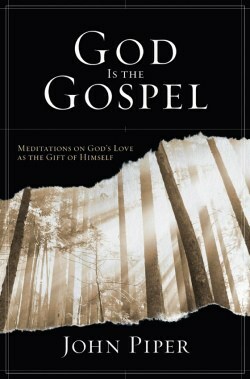 Download and read the book in its entirety for free in this PDF (don’t you love John Piper and Desiring God’s generosity??). The question I have: what does this look like in real life (for me, talking to college students)- If you just knock on a guy’s dorm room and tell him, I have the best news imaginable, you can spend your eternity gazing upon Jesus . . . how do you think that will go? ? What do you think: In our presentation of the gospel, how do we preach Christ alone while still appealing to uninterested college students? What have you seen be effective in proclaiming Christ while explaining a sometimes unintelligible (to postmodern college students) good news?